Opatija has always been ‘the place to be seen at’ in Croatia and nightlife in Opatija offers a little bit of something for everyone. Whether it is an art show in one of the popular galleries, a pop concert at the almost legendary open-air summer theater or maybe just a couple of drinks in Opatija’s nightclubs – the possibilities are abundant in Opatija! Partying is never good on an empty stomach. 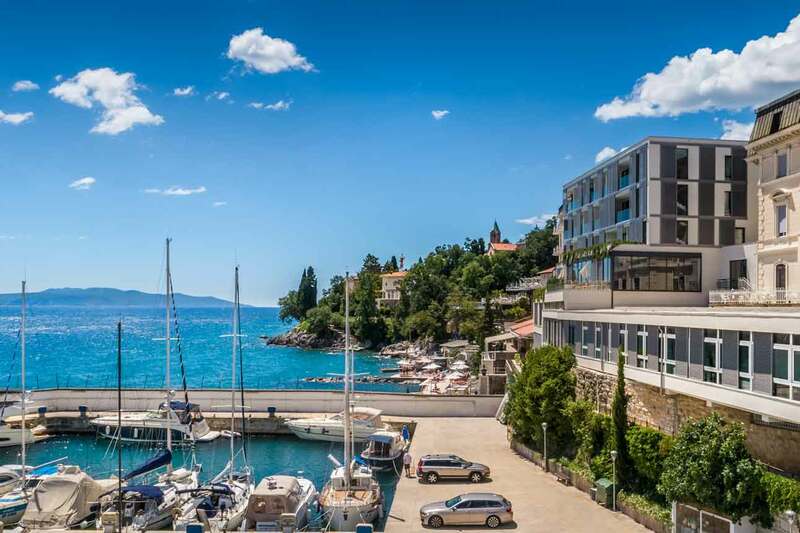 Fortunately, there are numerous restaurants in Opatija that offer exquisite delicacies of Istria and Kvarner, as well as high quality wines from the best Croatian wineries. Pleasant atmosphere, good company, excellent food and drink… What else could you need for a better start of your night in the town? Is there a better way to get your heart to start pumping than visiting a casino? The rush of excitement when you are waiting for that lucky seven to hit the last field of a slot machine, that one moment that lasts a lifetime when the ball is “looking” for a field to land on the roulette wheel, when suddenly it seems that red and black are much more than just ordinary colors and zero is definitely not only just another number… There are numerous slot machine clubs all over Opatija. Casino Admiral and the casino at the hotel Imperial are located in the town center, while more experienced players will probably hit the tables and try their luck at the live games in casino Adriatic. The night is still young and it is time to get the show on the road. Bars Leonardo and Mimoza in the centre of Opatija, Kon-Tiki and Surf bar in the nearby small town of Volosko… Numerous bars and small clubs offer a perfect setting for a warm-up in good company of friends and locals from surrounding towns who frequent Opatija on a regular basis. Regardless of the time of year, the atmosphere is always great on the Riviera! This is the point where it all starts being really fun! It’s past midnight and the party is heating up with each passing minute. You are about to learn what the nightlife in Opatija is all about! The Galija, Hemingway and Tantra are popular nightclubs located next to the Opatija harbor, where the cool sea breeze freshens up the hot summer night while a hundred colors are mixed into cocktails and the DJ is getting louder with each new song. Or maybe you’d like to stay closer to the town centre? Disco club Colosseum is only a few steps from the main town beach of Slatina and the Lungomare promenade, with popular hits and house music playing non-stop from dusk till dawn. Those who seek a more elegant surrounding will probably opt for the Lord Byron nightclub, one of the oldest clubs in Opatija, located in the bottom floor of the famous hotel Imperial. On the other hand, maybe you’d like to get out of the town for a night? Don’t worry because Medveja is only a few kilometers away. The Hemingway beach bar is situated at the very seafront and it is one of the most popular summer spots in the region, especially among the younger crowd. Just hop into a taxi and you’re there in a couple of minutes! The night is over… What now? After the morning comes and the first rays of sunlight shine over the Opatija Riviera, there is no place better than one of the beaches to end the night. Take a quick dip in the crystal clear blue sea and drink your morning coffee in one of the beach bars. You can also go for a popular local custom practiced after a “rough” night. Just find the nearest bakery and treat yourself to a “burek”, one of the best cures for a hangover, and this is spoken from experience!